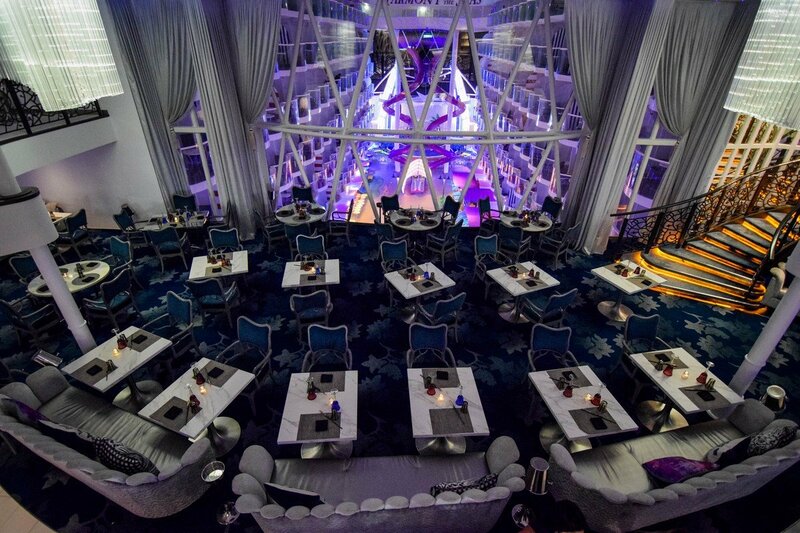 Have you heard about Royal Caribbean's specialty dining packages? 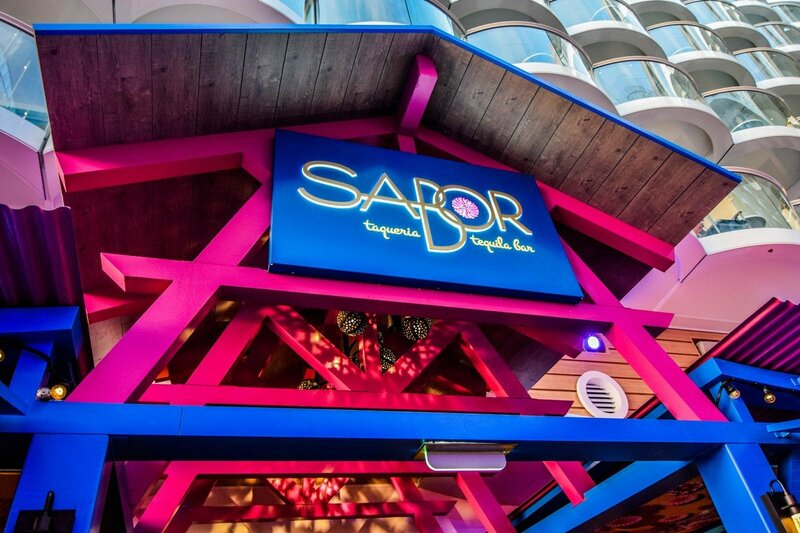 These are convenient options that allow you to enjoy multiple specialty restaurants on your Royal Caribbean cruise at a discount. By purchasing a package, you can save a fair amount of money compared to trying to eat in the same amount of specialty restaurants individually. If you have not heard of the dining packages before, or want to learn more about how they work, check out this overview. If you are considering purchasing a specialty restaurant package, here are the four easy steps you need to follow to ensure you have a fabulous dining experience once onboard. 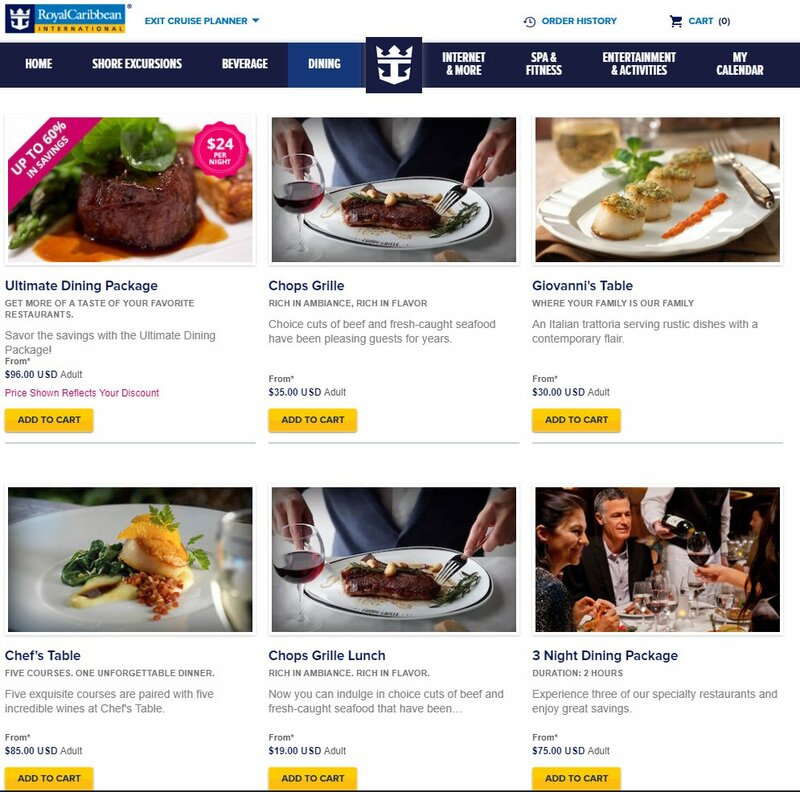 This may seem obvious, but you will start off with actually purchasing a dining package before your cruise via Royal Caribbean's Cruise Planner site. Royal Caribbean offers a number of dining packages, so compare the offerings for your sailing and see which fits your needs the best. Deciding on the right dining package boils down to how many specialty restaurants you would like to dine at during the cruise. 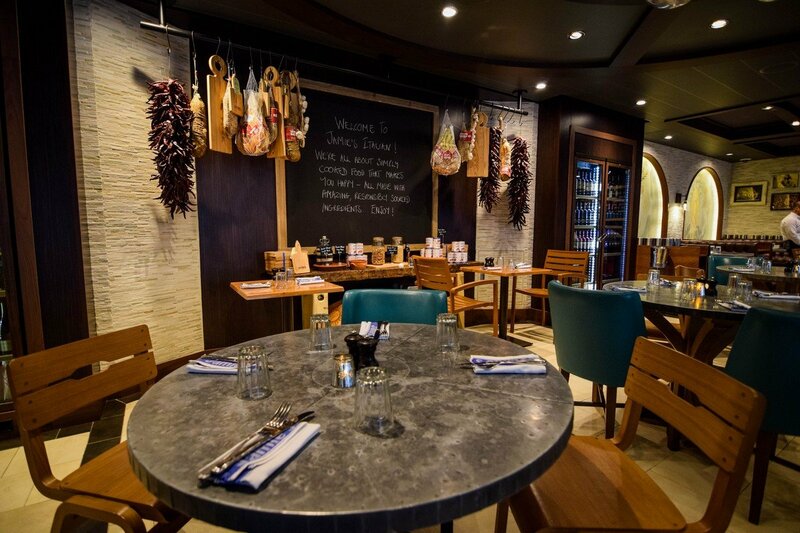 Some guests like to sprinkle in specialty dining, while others prefer to dine exclusively at a specialty restaurant. 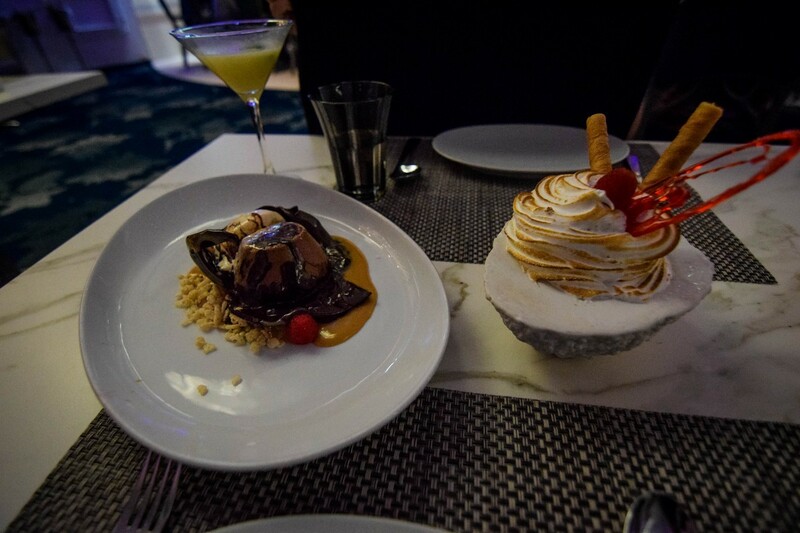 If you do not see any specialty dining packages listed yet for your cruise, don't worry. That may simply be a result of your sail date being too far from now. You will just have to periodically check back, as there is no set window of time when Cruise Planner purchases like a dining package become available. You just have to check back now and then to see if they are available. 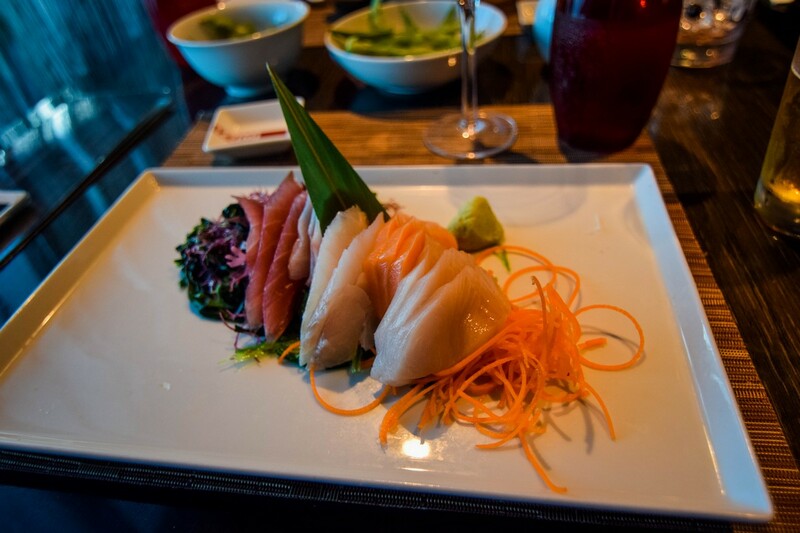 Once you pick the right dining package for you, you will have to select a day and time for your first meal. Part of the arrangement with any dining plan, is you must dine at one restaurant on either the first or second day of your cruise. 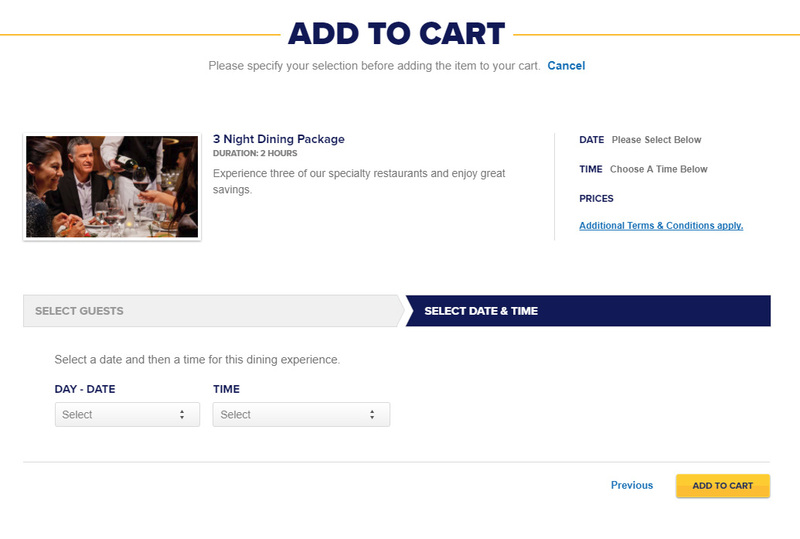 The Cruise Planner site will allow you to pick a day and time, although not the restaurant. 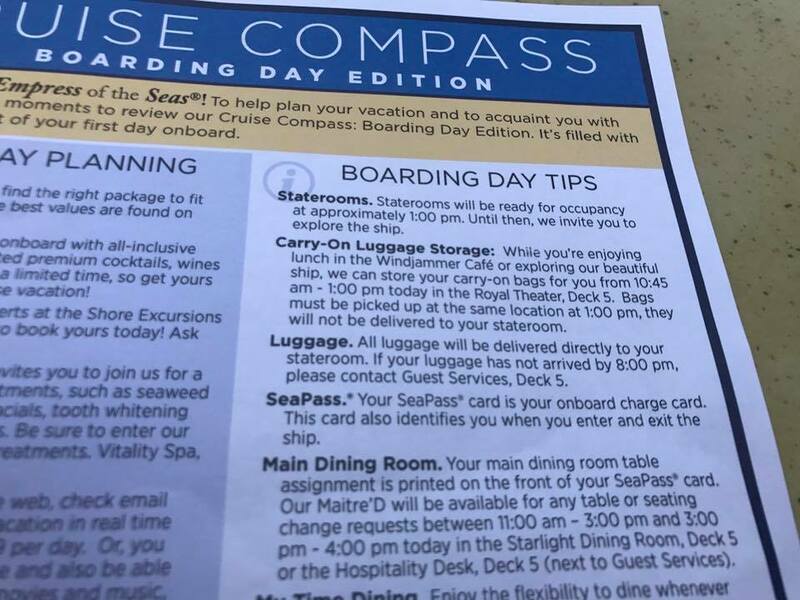 You should not worry too much about the day and time you pick, nor the restaurant Royal Caribbean will pick for you, because you can always change this once onboard the ship (we will get to that in step 4). Pick a day and time that make some sense to you and then go ahead and purchase the package. 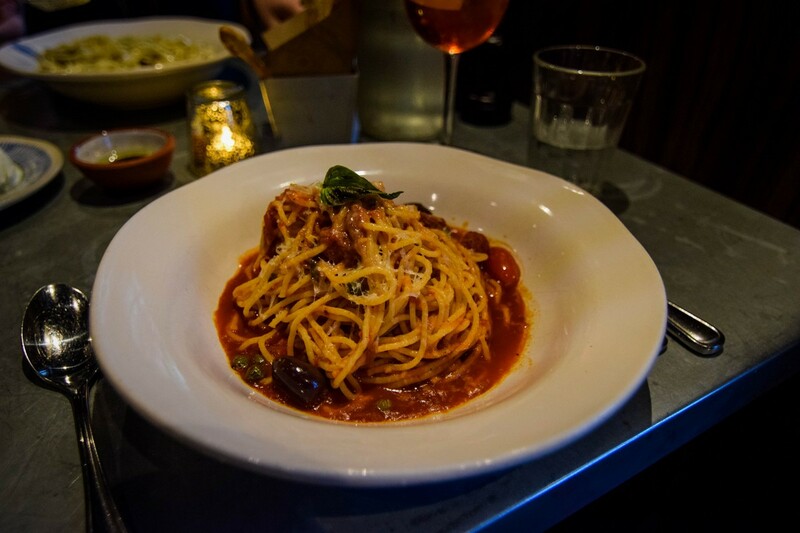 Between when you purchase the dining package and your actual cruise, carve out some time to look at a schedule of events to get a sense of when you might be busy, and conversely, want to dine at a specialty restaurant. Royal Caribbean does not publish a schedule of entertainment in advance of your cruise, so your best bet is to look at a past Cruise Compass for a recent sailing on the same ship you are going on soon. While the Compass is for a past sailing, a lot of the schedule of events (especially the evening show times) tend to be the same from sailing to sailing. Your goal is to look at the show times, and then figure out which restaurants you would like to dine at and at what time. The reason you want to do this now, and not on your ship, is this will save you time once you get onboard. Plus, you will be one step ahead of everyone else and that means less time on your cruise planning, and more time having fun! The last step is board your Royal Caribbean cruise and on embarkation day, make reservations for your specialty restaurants as early as you can. Booking the restaurants on embarkation day and as early in the day as you can will ensure you the largest array of availability. 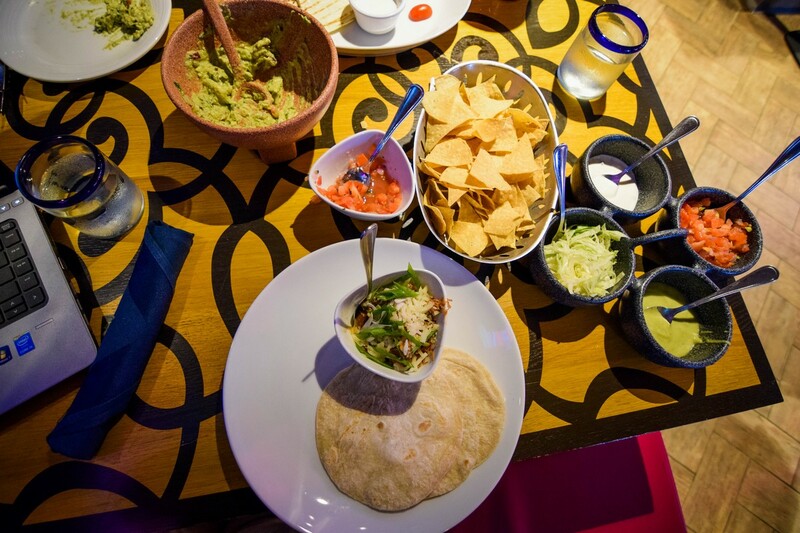 You can go to any specialty restaurant or Guest Services to make reservations for your dining package. Alternatively, we have seen on some Royal Caribbean ships stations set up exclusively for those with dining packages to make their reservations quickly. Look in the Cruise Compass when you board the ship for that option. If you completed the previous step, this step will be quite quick. You can always change your mind later about restaurants and/or times, but locking in reservations early will provide you the most choices. 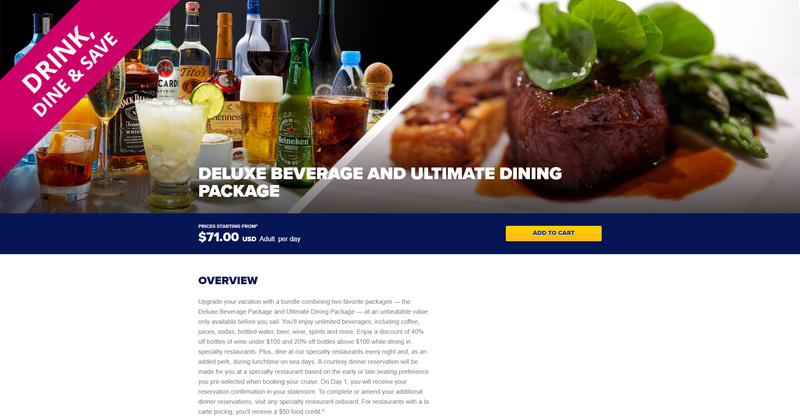 Royal Caribbean has a new pre-cruise purchase option on select sailings that combines the deluxe beverage package and the ultimate dining package in one. Thus far, we have spotted this option on Oasis class ships. 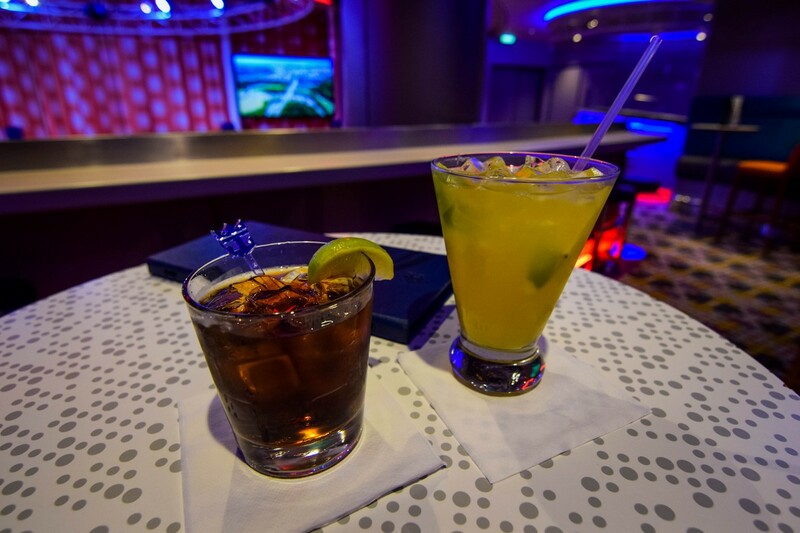 Thanks to Royal Caribbean Blog reader Andrew Punch for alerting us to this new offering. 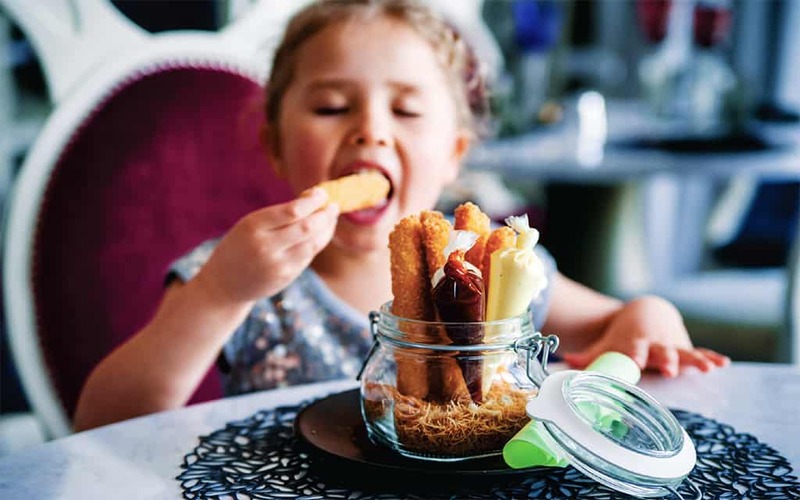 Royal Caribbean offers its guests that are fans of specialty dining the opportunity to purchase dining packages that promise to save guests money on the total cost of the restaurant experience. Royal Caribbean offers a variety of dining packages based on the number of nights you want to take advantage of the offer. These packages can save guests up to 40% off the price if they were purchased individually. 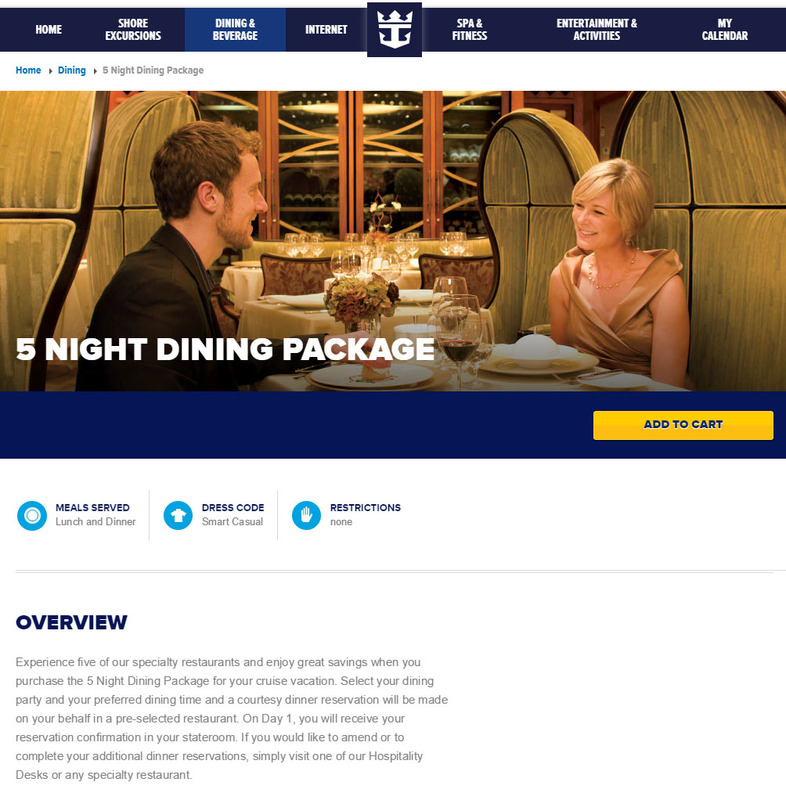 Via Royal Caribbean's Cruise Planner, guests may select their dining party and preferred dining time and a courtesy dinner reservation will be made on your behalf in a pre-selected restaurant on day 1 or day 2. On Day 1, guests will receive a reservation confirmation in their stateroom. If you would like to amend or to complete your additional dinner reservations, simply visit a Hospitality Desk or any specialty restaurant. Guests then can make additional reservations on your first day onboard to guarantee preferred dining time and restaurants. Kids ages 6-12 now dine at our specialty restaurants for only $10. Ages 5 and under eat free. Royal Caribbean's staff can add children to your existing reservation at kid's prices once onboard. The main advantage of the dining packages are the cost savings compared to booking the individual specialty restaurants individually.